Say it isn’t so Judge Joe? 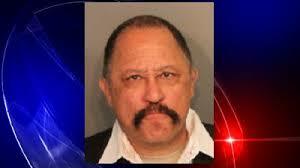 March of last year former television celebrity judge Joe Brown was arrested and jailed in Memphis, Tennessee on a contempt of court charge. Brown was sentenced by Juvenile Court Magistrate Harold Horne to five days in jail after a heated argument that took place in the courtroom with major news outlets reported the legal kerfuffle. According to CNN another judge who witnessed the argument, Chief Magistrate Dan Michael, said Brown “challenged the authority” and got “pretty raucous” during his appearance in court. The cable news network reported that Brown became verbally abusive, even after being warned to calm down several times. Chief Magistrate Michael told CNN the judges and staff “were all kind of floored” by Brown’s tirade. You may remember Brown starred in his reality court TV show, Judge Joe Brown, for fifteen years before the show was canceled. Brown then went back to practicing law in the Memphis area. He was in court on the day of his meltdown to represent a client in a child-support case. Brown was led away in handcuffs, but only spent hours in jail before being released on his own recognizance according to the Memphis Commercial Appeal. “Judge” Joe Brown subsequently appealed his criminal contempt arrest to the Court Of Appeals Of Tennessee At Memphis arguing numerous procedural errors by the Juvenile Court and claimed that his actions did not rise to the level of contemptuous behavior. On March 24, 2014, a litigant appeared for a hearing before Magistrate Horne. The Magistrate determined that no notice of the hearing had been provided to the opposing party or counsel and therefore continued the hearing for one month. Later that same day, attorney and former judge Joseph Brown appeared before Magistrate Horne and addressed the court on behalf of the aforementioned litigant. At the outset, Mr. Brown indicated his awareness that the hearing had already been continued until a later date. Nevertheless, Mr. Brown insisted that the case against the litigant should be “dismissed flat out” due to deficiencies he perceived in the record, and he claimed that notice to the opposing party was not necessary prior to dismissal. Magistrate Horne reiterated that the matter would be resolved at the April 24 hearing. Brown: If it pleases the tribunal, I will file a Petition for Habeas Corpus and close this place down like I did before if you make her come back here one more time. Court: Mr. Brown, you are very close to finding yourself in contempt. Brown: Excuse me, on what authority do you sit by the way? As a former judge here, we have a rule in the Thirtieth Judicial District. It says every single Magistrate Referee has to be unanimously approved by every Circuit, Chancery, and Criminal Court Judge. I don’t recall that your name’s ever been submitted, sir. This tribunal on a General Sessions Court’s authority is insufficient to establish you. Therefore I challenge your authority to hear it. And by the way, what is that, Magistrate, sir, with due respect. Court: Mr. Brown, the Court finds you in contempt. Brown: Here’s ten dollars. That’s all you’ve got on me. Court: I sentence you to twenty-four day — for twenty-four hours in the Shelby County jail. Court: You may have a seat. Brown: I’m not. Ten dollars. That’s all you’ve got. Twenty. Take the two. Brown: Go find the law or I’m reporting you to the Court of Judiciary. I‟ll have you charged with violation of process. Now you want to get into this, let‟s get into it. This sorry operation needs to stop. Court: Twenty-four hours in the Shelby County jail for contempt. You may have a seat. Court: Do you wish to have another twenty-four hours? Brown: If you try to do this you need to straighten yourself up and you cite your authority. Court: Do you wish to have a second day, Mr. Brown? Brown: What did you say? Court: Do you wish to have a second day? Brown: I tell you what. You cite the authority. You find it. I looked it up before I came in here. You have ten dollars maximum contempt jurisdiction. Now you jump in here. Court: That’s two days in the Shelby County jail. Do you wish to continue? Brown: Okay. Okay, I’ll tell you what. I’ll be out of here very shortly on a Petition for Habeas Corpus, and I’ll bring up all these problems, and guess what, you might not be operating tomorrow. Court: Have a seat, Sir. Brown: Okay, as a courtesy to the officers, I’ll do that. Mmm- huh. Brown: It’s a circus, sir. Brown: You can do all you want. Brown: I offered you ten dollars. At that point, Brown was physically removed from the courtroom and escorted to the Shelby County Jail. Later that afternoon, Brown’s attorneys filed a motion requesting that the juvenile court set bail or release him on his own recognizance. This motion was denied by order of a Juvenile Court Judge. Lawyer for Brown then filed a “Motion Appealing Juvenile Court Finding of Contempt and Denial of Appeal Bond” in the Criminal Court of Shelby County. Criminal Court Judge James Beasley entered an order “granting” the appeal from the juvenile court’s finding of contempt and releasing Brown on his own recognizance pending a hearing of the appeal. Whether the lower court erred in not affording due process and properly citing Brown with contempt because the Court was so intertwined and embroiled with the matter that it should have been disqualified from presiding over the matter. Whether the lower court properly followed Tennessee Rule of Criminal Procedure when it did not state how Brown was in contempt during the proceedings, nor include sufficient basis in its disposition of the matter. Whether the lower court erred in finding that Brown’s zealous advocacy for his client amounted to contemptuous behavior. The record reflects counsel’s distemper in response to a ruling of the trial judge and his apparent refusal to gain control of himself. It further reflects an escalating confrontation in which appellant had to be physically removed from the courtroom. The conduct resulted not only in the temporary delay of the trial for purposes of removing the jury, but also in the mistrial of the proceedings. We have no difficulty concluding that appellant’s conduct was willful and that its effect obstructed the administration of justice. Given this direct confrontation with the trial judge and this display of boisterous conduct which required removal from the courtroom, we find that the trial court did not abuse its discretion in invoking summary contempt procedures. Accordingly, the Court found that the trial court did not abuse its discretion in exercising its permissive authority to summarily punish Brown for direct criminal contempt. The decision of the juvenile court was affirmed and remanded for further proceedings. It’s being reported by a local Memphis affiliate that Brown may not serve any further jail time but, as stated by the Appellate Court’s ruling, the case is still under review by the lower court. The moral of this story is the courtroom is to be respected no matter who you are. Even if you’re a former reality television celebrity judge.